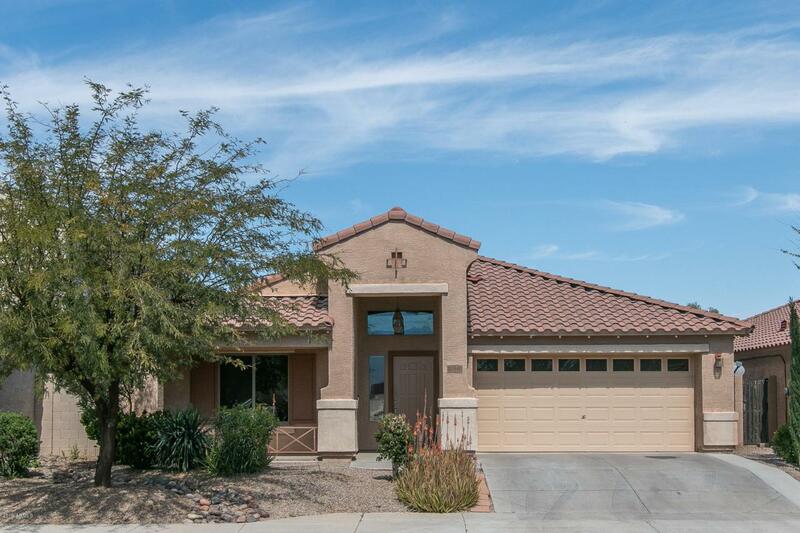 You'll love this move-in ready home that has been well-maintained by original owners. 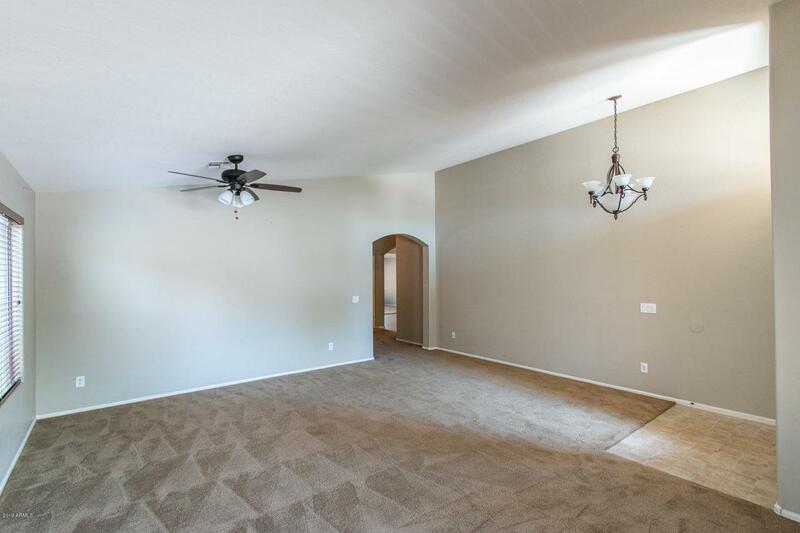 This floor plan offers 4 bedrooms & 2 baths with separate living/dining & family rooms. The spacious kitchen has an abundance of oak cabinetry, tons of counter space, stainless & black appliances, built-in desk, island with breakfast bar & walk-in pantry. 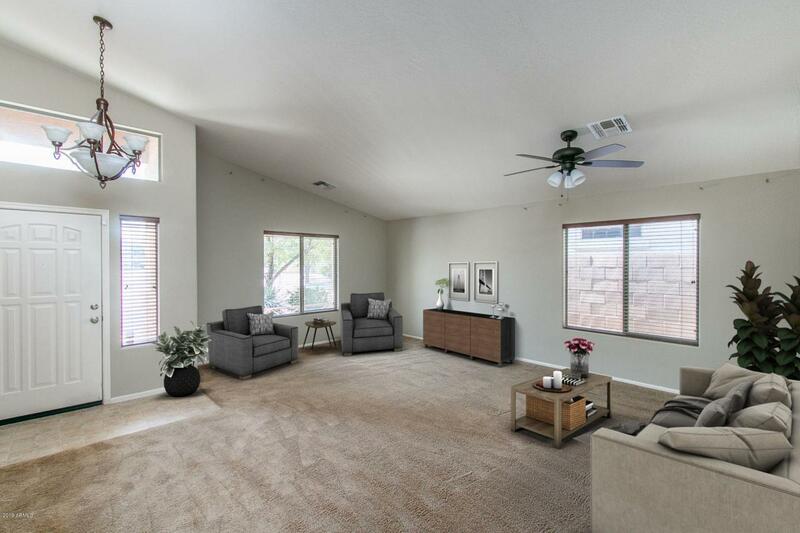 Sliding doors lead out to the extended covered patio & desert-landscaped backyard. The master bedroom has double door entry & en-suite bath with extended vanity, oversized shower & walk-in closet. 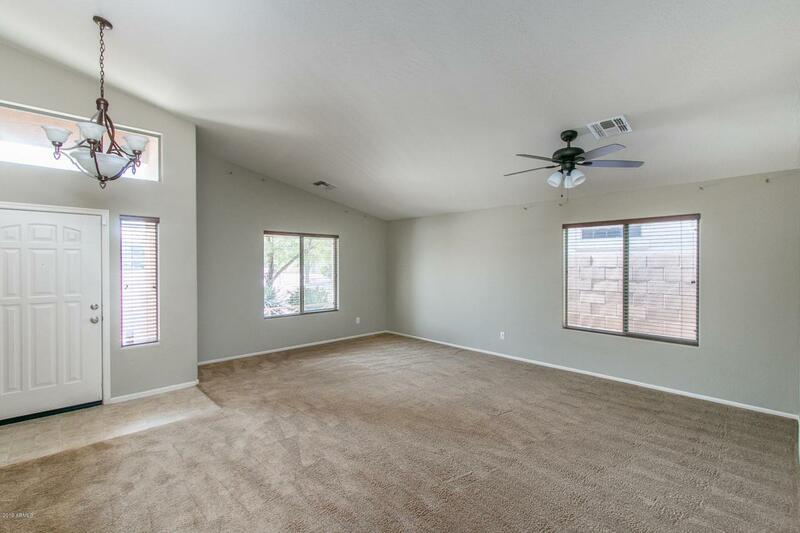 Other features include a 2 car garage, vaulted ceilings, neutral decor throughout, ceiling fans & window coverings, alarm system, soft water loop & much more! See today!